For most of the past 100 years Ontario’s forest sector has been dominated by the pulp and paper industry. Large companies like Abitibi, Domtar, EB Eddy, Avenor, Boise Cascade, and Great Lakes, which operated many large mills across Northern Ontario, held most of the forest licences, largely controlled the direction, flow and cost of wood fibre, and had considerable financial, political, social and legal weight. Smaller sawmills, veneer mills, particle board mills, and other specialty mills usually had to align themselves and work cooperatively with one or more of the pulp and paper giants if they hoped to be successful. For many communities across Northern and Central Ontario, it was a secure and prosperous era. However, it is now clear that era is over, and it is not coming back. Altogether, more than 20 pulp and paper mills have closed since the mid-1990s in Ontario, and a number of sawmills and other forest product mills that depended on pulp and paper mill giants for wood fibre, economies of scale, or forest management services have shut down as well. As a result, a number of Sustainable Forest Licences previously were held by those giants have been turned back to the Crown or transferred to “Forest Sector Co-ops,” where smaller mills, municipalities, and First Nation communities co-operatively hold the licence and conduct forest management planning and other activities required under the licence. In some areas of Northern Ontario, there is now a surplus of wood fibre available on a sustainable basis that is being under-utilized. What so many knew for five generations as economic, social and employment reality has been radically changed so that people are left wondering, ‘What now?’ Where are the new opportunities and how should someone prepare for those opportunities? To answer that question, a number of issues need to be considered. What is happening in the forests south of the U.S.-Canada border and what is happening in the forests of British Columbia? For example, United States government departments and agencies recently released the “Fourth National Climate Assessment” report which details, among other things, how climate change is already affecting the major forest areas of the U.S., and projects what is likely to happen to those forest regions over the next 50-plus years. The report paints a very negative picture for forests in the U.S. West and Northwest, as well as for forests in much of British Columbia and Alberta. It also predicts more frequent, more violent, and more destructive storms for the U.S. South and Southeast. While regions of the U.S. and Canada that have been major forest sector producers (the U.S. West and Northwest, and B.C.) are becoming and will continue to become substantially less productive because of climate change, other regions of the U.S. (the U.S. South and Southeast) will have a greater need for lumber and other building products in the face of destruction caused by a more violent climate. This also means consumers in the U.S. may need products from Ontario’s forest sector more than ever. And a U.S. government that has often sought to punish our forest sector with tariffs and quotas may need to re-think its historical position. For us, climate change impacts may open the door to a “new forest sector,” just as the old one has passed into history. However, a “new forest sector” will not be just a “product change” from pulp and paper to more lumber, building products, and packaging materials. Other social, political, environmental, and legal changes are occurring at the same time, and must also be considered. Environmental non-governmental organizations that have international reach and insist on the “long-term indicia of environmental sustainability” are more active, have more social and political credibility, and consumer leverage than ever. The Ministry of Natural Resources and Forestry (MNRF) is required by law to ensure sustainable populations, and sustainable habitat for caribou, moose, deer, and other bird and wildlife species. Finally, our courts have forced us to recognize that the Indigenous People of Canada have legally protected rights and interests in our forests that can no longer be ignored, and many First Nations have responded to recent court decisions by demonstrating a renewed involvement in forest sector activities. 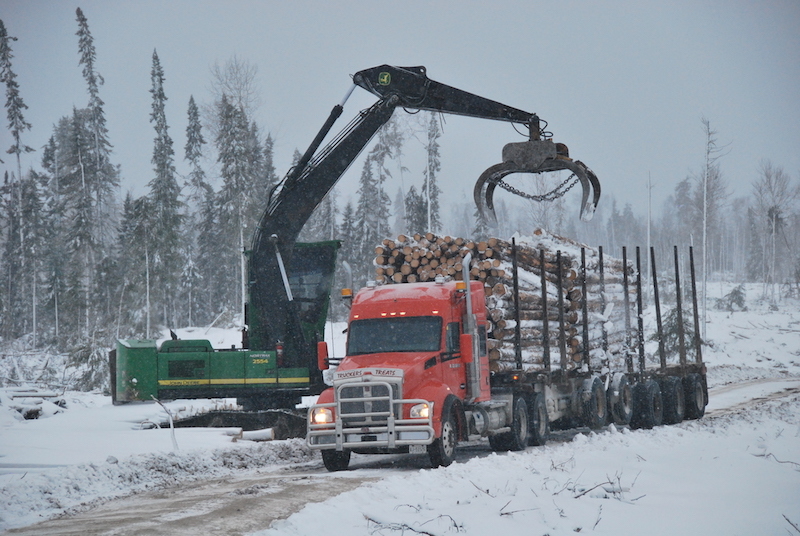 Across much of Northern Ontario, there is a long history of First Nation community involvement in the forest sector. Prior to the 1960s, there were still a number of “large-log” sawmills across the North, and many of those sawmills were located in or adjacent to First Nation communities and employed significant numbers of workers from the nearby First Nations. In Northwestern Ontario, where I grew up, “large-log” sawmills on Couchiching First Nation (Fort Frances), near Onigaming First Nation (Nestor Falls), near Lac Seul First Nation (Hudson), and Sapawe (Atikokan), are all examples. However, with the decline of the white pine, red pine and white spruce forests, many of the “large-log” sawmills were forced to close, and First Nation workers were displaced. Prior to the 1980s, much of the harvested wood fibre was moved to mills through river drives and tug-boats towing large booms of logs across lakes. First Nations living along the rivers and lakes provided much of the workforce for the busy spring-summer wood drives. When Ontario regulated against the river and lake drives, workers from the First Nation communities were displaced from the forest sector, and lacked the access to the financial capital necessary to get into the log-hauling business. When Ontario started to recognize the need to make greater investments in forest renewal activities in the late 1960s and early 1970s, the Ministry of Natural Resources (MNR) frequently turned to workers from nearby First Nations to provide a seasonal workforce for spring and early summer tree planting and other forest renewal activities. As forest renewal activities were privatized in the 1990s, First Nation workers were once again displaced. Forest fire suppression and management followed a similar path. When most of the “on the ground” forest fire suppression was provided directly by the MNR, First Nation communities were relied upon to supply that seasonal workforce as well, during the spring, summer and early fall months. However, as “on the ground” forest fire suppression was largely privatized in the late 1990s, First Nation firefighters were displaced from MNR employment, and not employed by private contractors to the same degree. Fast-forward to where we are today. The law, as interpreted by the Supreme Court of Canada, requires the federal and provincial governments to consider the rights and interests of First Nations when governments seek to grant licences or use-permits on the traditional lands of First Nations. New forest sector ventures will require forest licences or use-permits to harvest and utilize Crown forest resources. Governments are required to consult First Nations before granting licences or use-permits on those traditional lands and to accommodate the rights and interests of First Nations. In the historical context just described, it should not surprise anyone that First Nations are committed to ensure that their rights and interests are respected, and included in the “new forest sector” that is on the horizon. Many First Nation communities have demonstrated an interest in participating in cooperatively held Sustainable Forest Licences or investing in mill operations, as well as forest renewal, forest-fire suppression activities, and forest management and planning exercises generally. Howard Hampton is a Colleague at Pilot Law LLP (www.pilotlaw.ca). Howie’s practice centers on relationships and transactions with First Nations in Forest products, Mining and Energy sectors. Howie served a sAttorney General of Ontario from 1990 to 1992 where he oversaw the introduction and passage of the Class Proceedings Act, 1992, and the Family Support Act, 1991. 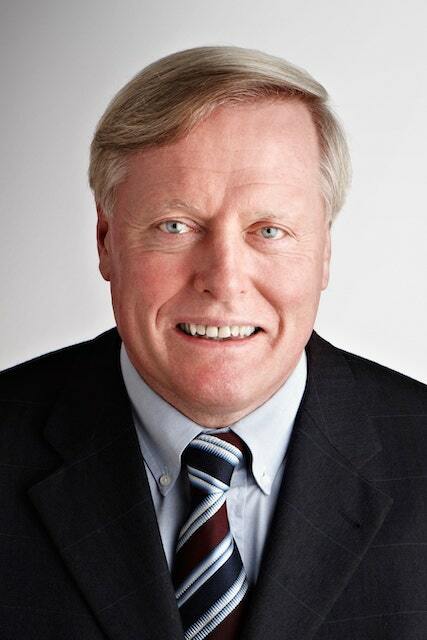 Howie also served as Minister of Natural Resources of Ontario where he guided the modernization of Ontario’s forest management legislation through the development and passage of the Crown Forest Sustainability Act, the creation of the Forest Renewal Trust Fund, and the Forest Futures Trust Fund. Howie has advised clients and governments in Saskatchewan, Alberta, Ontario and Nunavut. He is the author of Public Power: The Fight for Publicly Owned Electricity.